The seat of the Dutch government, capital of South Holland, and the third largest city in the country. 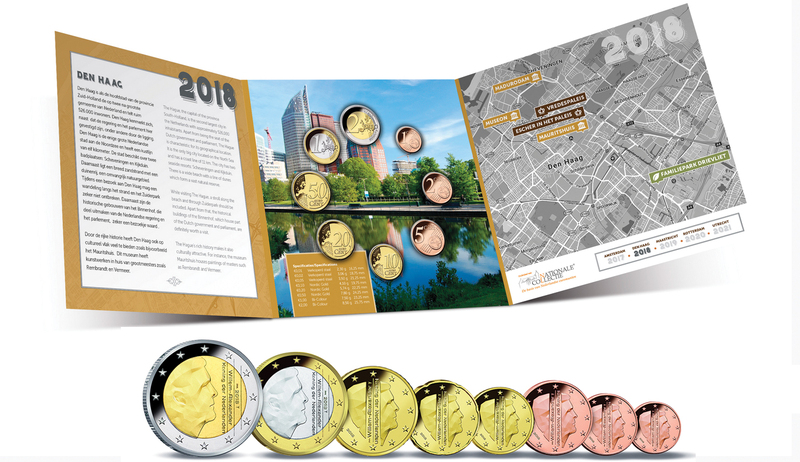 Set has all 8 circulating coins from 1 cent to €2 in Brilliant Uncirculated quality. Issue limit is 15,000 sets.